I always have kraft paper on hand for gift wrapping because it is so inexpensive and easy to dress up. I love the tissue paper flower accents that Debbie used to decorate these packages. This is a simple and beautiful gift wrap idea for your Mother's Day gifts! 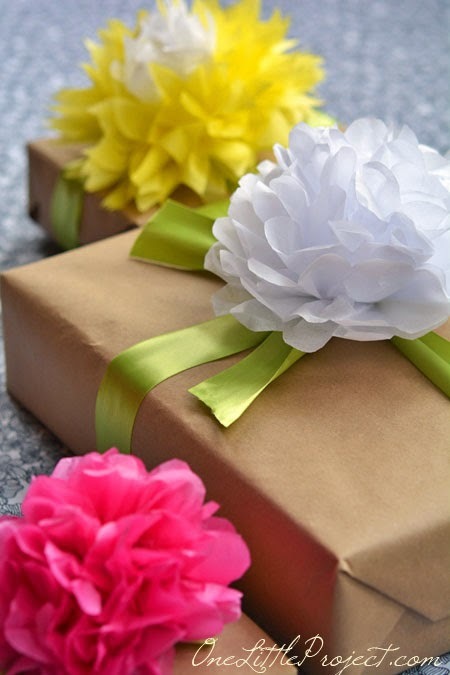 You can check out how to gift wrap with tissue paper flowers over at One Little Project.